Track your employees’ work time, sick leave and compensatory leave. Get an overview over each person’s work hours and their holiday entitlement at any time. Track every minute spent on a project in real time. 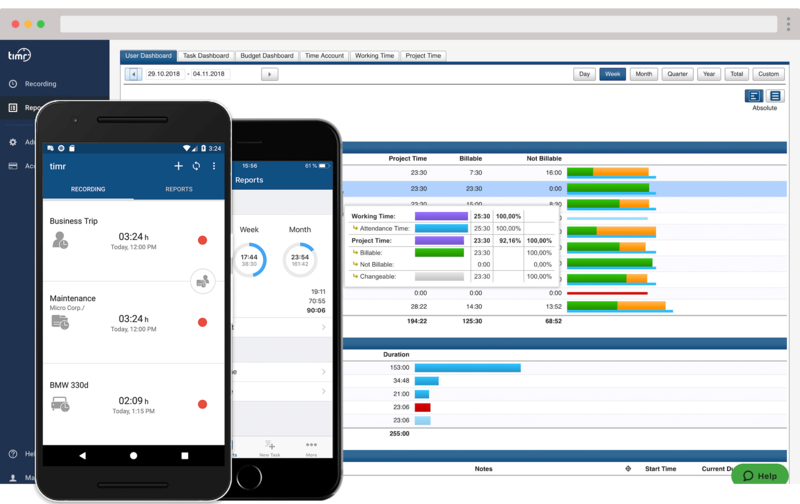 You’ll always have the data right at your fingertips when you invoice your clients. Track business trips and mileage in real time with our mobile app or add trips afterwards. Use GPS to save time when entering addresses. 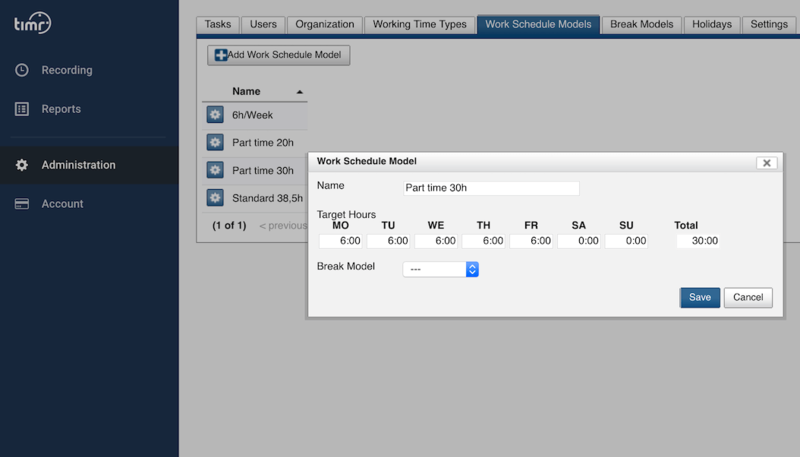 Use the timr web app to manage users, time budgets and tasks. Create detailed structures for clients, projects, departments and teams in your company. Customise, adapt and change anything as and when needed. All time entries recorded via the app or the web interface are immediately ready for further use. 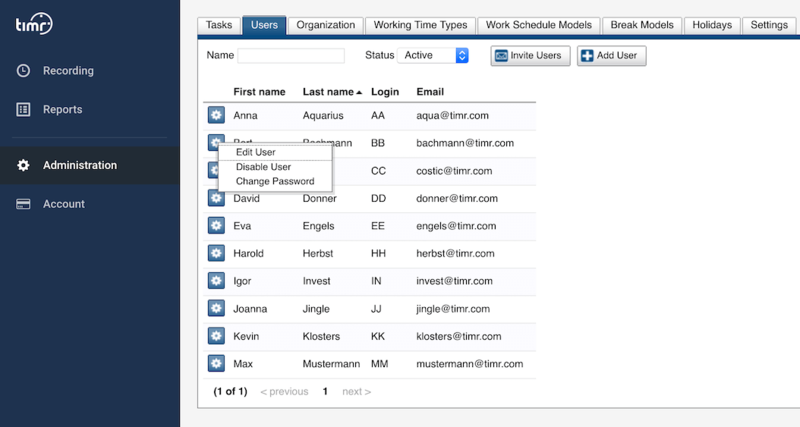 Complete your administrative tasks when you want, instead of having to wait for everyone to submit their time sheets. timr offers detailed reports focussing on projects and employees. 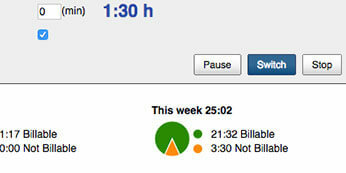 These live-updating reports allow you to always stay on top of employees’ attendance and absences. Or you can check how much time has been spent on certain projects and submit detailed reports to your clients together with your invoices. 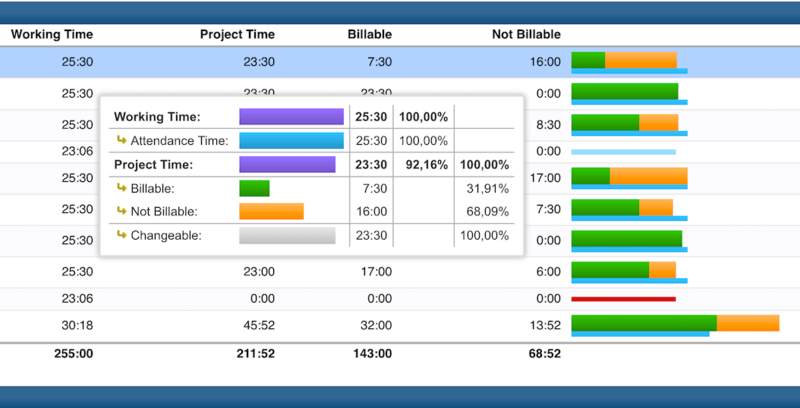 Exporting detailed time sheets makes payroll accounting easier. Furthermore, the budget report will give you a deeper insight into your expenses. 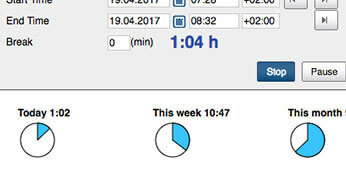 Customise time tracking to suit your needs. The timr web app offers extensive configuration options — you decide which data you want to track. 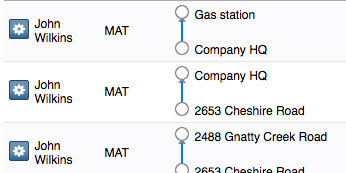 Collect additional information with your time entries, from daily allowances to the location of job sites. You can even set up automatic reminders for employees in case they accidentally leave a time entry running after a certain point. 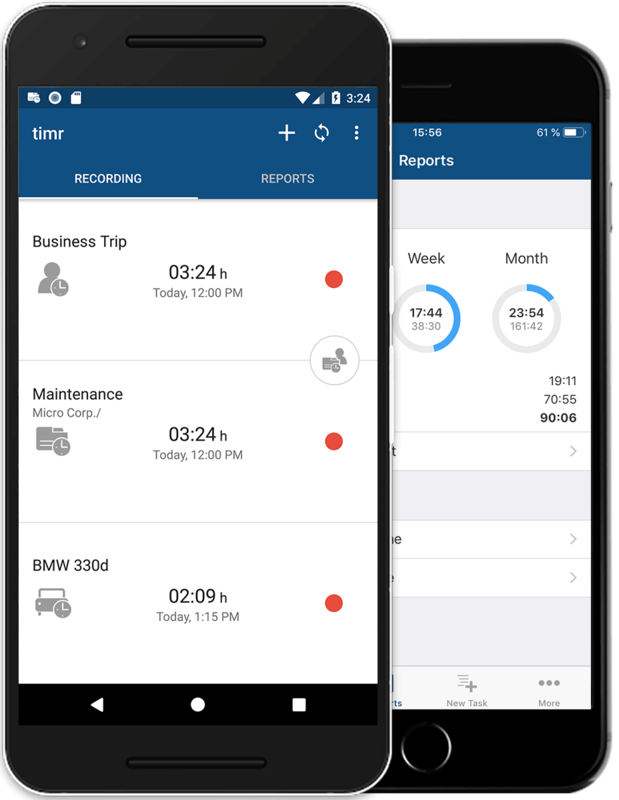 All timr mobile apps track time and mileage. Your employees can track both their time on site and their travel time on-the-go. It works even if they aren’t connected to a mobile network or the internet and will sync once they’re back online. Know at which location your employees are currently assigned thanks to GPS position tracking and adjust plans accordingly. The timr app is available for iOS, Android, Blackberry and Windows mobile operating systems. All your entries automatically sync in the background, whether you are using your smartphone or the web app to track your time and mileage. Your records are continually saved on 2 active systems at distributed computer centres. Hourly and daily backups ensure that your data is always completely secure.